APMJ is the first peer reviewed journal devoted to migration issues in the Asia Pacific. APMJ features articles that examine human mobility in the region from an interdisciplinary perspective. The journal publishes research and analysis on the socio-demographic, economic, political, psychological, historical, legislative and religious aspects of human migration and refugee movements from and within Asia. APMJ is the first peer reviewed journal devoted to migration issues in the Asia-Pacific. APMJ features articles that examine human mobility in the region from an interdisciplinary perspective. The journal welcomes contributions on research and analysis on the socio-demographic, economic, political, psychological, historical, cultural and legislative aspects of different forms of human mobility from and within the Asia-Pacific region. Since its launch in 1992, APMJ has contributed to the academic, policy and advocacy discussions of migration in the region and about Asia-Pacific migration to other parts of the world. Ki-seon Chung IOM Migration Research and Training Centre, South Korea. Please read the guidelines below then visit the Journal’s submission site https://mc.manuscriptcentral.com/apmj to upload your manuscript. Please note that manuscripts not conforming to these guidelines may be returned. Only manuscripts of sufficient quality that meet the aims and scope of Asian and Pacific Migration Journal will be reviewed. Before submitting your manuscript to Asian and Pacific Migration Journal , please ensure you have read the Aims & Scope. The Asian and Pacific Migration Journal welcomes manuscripts on the various aspects of migration in Asia and the Pacific and migration from the region to other regions. Main articles should be approximately 7,000-8,000 words long; book reviews should be about 1,000 words long. Occasionally, the Asian and Pacific Migration Journal feature research notes and conference reports. These should be approximately 4,000 words long. Asian and Pacific Migration Journal requires all authors to acknowledge their funding in a consistent fashion under a separate heading. Please visit the Funding Acknowledgements page on the SAGE Journal Author Gateway to confirm the format of the acknowledgment text in the event of funding, or state that: This research received no specific grant from any funding agency in the public, commercial, or not-for-profit sectors. Asian and Pacific Migration Journal encourages authors to include a declaration of any conflicting interests and recommends you review the good practice guidelines on the SAGE Journal Author Gateway. Asian and Pacific Migration Journal and SAGE take issues of copyright infringement, plagiarism or other breaches of best practice in publication very seriously. We seek to protect the rights of our authors and we always investigate claims of plagiarism or misuse of published articles. Equally, we seek to protect the reputation of the journal against malpractice. Submitted articles may be checked with duplication-checking software. Asian and Pacific Migration Journal offers optional open access publishing via the SAGE Choice programme. For more information please visit the SAGE Choice website. For information on funding body compliance, and depositing your article in repositories, please visit SAGE Publishing Policies on our Journal Author Gateway. Asian and Pacific Migration Journal adheres to the SAGE Harvard reference style. View the SAGE Harvard guidelines to ensure your manuscript conforms to this reference style. 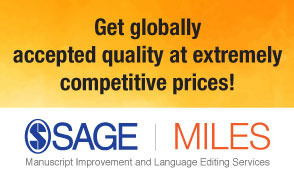 Asian and Pacific Migration Journal is hosted on SAGE Track, a web based online submission and peer review system powered by ScholarOne™ Manuscripts. Visit https://mc.manuscriptcentral.com/apmj to login and submit your article online.